The information on this site is not intended to diagnose or treat any medical or psychological condition. Please consult your doctor for individual advice regarding your own situation. To see our most recent IRS 990, please see our listing at the New York State Charities Bureau, which is the New York Attorney General's one-stop resource for charitable organizations, fundraisers, grantmakers and members of the public. You may also obtain a copy our IRS 990 by sending us a request by email or mail. Please send mail requests to: Postpartum Resource Center of New York, 109 Udall Road, West Islip, NY 11795. Please note that unless otherwise noted, All content on this website (including downloadable PRCNY documents, files, etc.) is Copyright ©1998 – 2019 The Postpartum Resource Center of New York, Inc. All Rights Reserved. Project 62™ – Building and Strengthening a Perinatal Mental Wellness Parent Support Networks and Safety Nets in all sixty-two New York State counties. The name, slogan and artwork are Copyrights © of and Trademarks of the Postpartum Resource Center of New York, Inc. All Rights reserved. Moms on Call™/℠ is Trademark and Service Mark of the Postpartum Resource Center of New York, Inc. All Rights Reserved. Circle of Caring Pregnancy and Postpartum Depression/Anxiety Support Groups™/℠ is Trademark and Service Mark of the Postpartum Resource Center of New York, Inc. All Rights Reserved. The logo of the Postpartum Resource Center of New York is Copyright © and a Trademark of the Postpartum Resource Center of New York. All Rights Reserved. 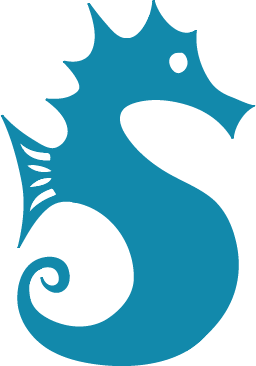 The following images, the logo and the seahorse of the Sounds of Silence, Friends of the Postpartum Resource Center of New York are Copyright © and Trademarks of the Postpartum Resource Center of New York. All Rights Reserved.